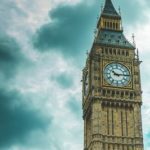 Spring Budget 2019 - TI Accountancy Ltd.
With only two weeks to go before Brexit it was understandable that the Chancellor of the Exchequer, Philip Hammond, was going to present a low-key mini-spring budget in order to not create more difficulties for the Government as it struggles to finalise a deal with the EU. The National Minimum Wage will be reviewed, with the ultimate objective of ending low pay in the UK and delivering “sustainable pay rises for millions of British workers”. The National Minimum Wage will rise to £8.21 from April. Mr Hammond has asked the Competition and Markets Authority to look into the digital advertising market as soon as possible. Warning that the tech giants, such as Facebook and Google, will “pay their fair share”. In the Autumn 2018 Budget, the government introduced a new capital allowance for new non-residential structures and buildings. The government has welcomed comments up until 24 April 2019. An overall response to consultation responses will be published in May 2019. The published version of this legislation will be in the format of a Statutory Instrument. Mr Hammond wrapped up his speech to announce that a full response to a call for evidence on how to tackle “the scourge of late payments for our small businesses” will be revealed shortly.